Indian national Mr. K.P.K. Varma, 69 years, passed away in Kuwait. He was the Senior Electrical Engineer at Gulf Consult. He has worked in Kuwait in various capacities over 30 years in different organizations. Mr. K.P.K. Varma is a senior member of NITCAA Kuwait chapter. NITCAA Kuwait chapter express their sincere condolences to his family and prayers to the departed soul. Prayers and fond memories are what we have to remember our dearly departed. Our most heartfelt condolences. Heartfelt condolences to the bereaved family members. 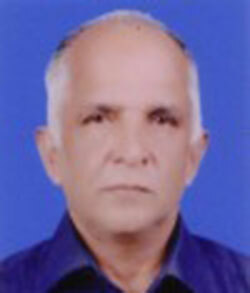 Very sad to know the sad demise of Engr Varma, a prominent engineering professional in kuwait. We pray for his soul to Rest In Peace. I was so saddened to hear about Kerala Varma’s demise. He was a very nice and kind person. Love knows no boundaries. While Varma is no longer physically with us, his spirit is always around us. May his soul rest in peace. My deepest condolences to his family. With heartfelt condolences. May his soul rest in peace. I am shocked to get the sad news of dear Varma’s untimely death. He was a kind person, polite at heart and a very good senior electrical engineer. We worked together on one project in the past. He will always be remembered. May his soul rest In eternal Peace.